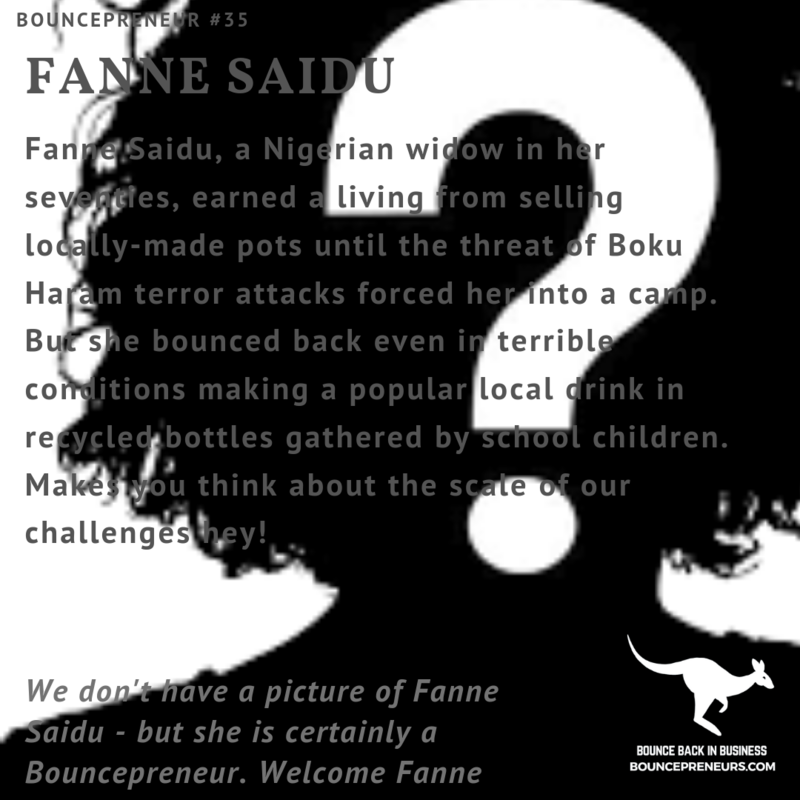 Fanne Saidu, a Nigerian widow in her seventies, earned a living from selling locally-made pots until the threat of Boku Haram terror attacks forced her into a camp. But she bounced back even in terrible conditions making a popular local drink in recycled bottles gathered by school children. Makes you think about the scale of our challenges hey!